I actually walked out the door this morning to catch #2 passing through Sugar Land, but there were some huge clouds obscuring the sun. I came to my senses and went back in to enjoy my Sunday morning coffee. I’m just tired of my recent, repeated losing battles with the clouds, and also tired because of being up until 3AM this morning. 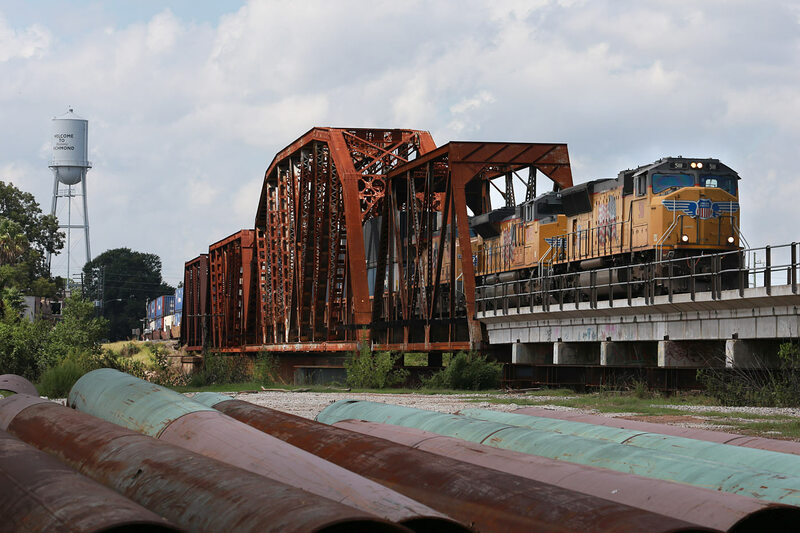 That said, I did get out this past Friday, 9/22/2017, morning when ATCS showed the DS holding an eastbound and #2 at Rosenberg for a KCS westbound train. I figured I could make the 20 minute drive to the Brazos River bridge in time to catch these two eastbounds there. I arrived there with 2-3 minutes to spare, but so did some clouds. I had nice sun on the bridge, but the head end of UP 5111 (ZLAJX?) was another matter. Sigh. 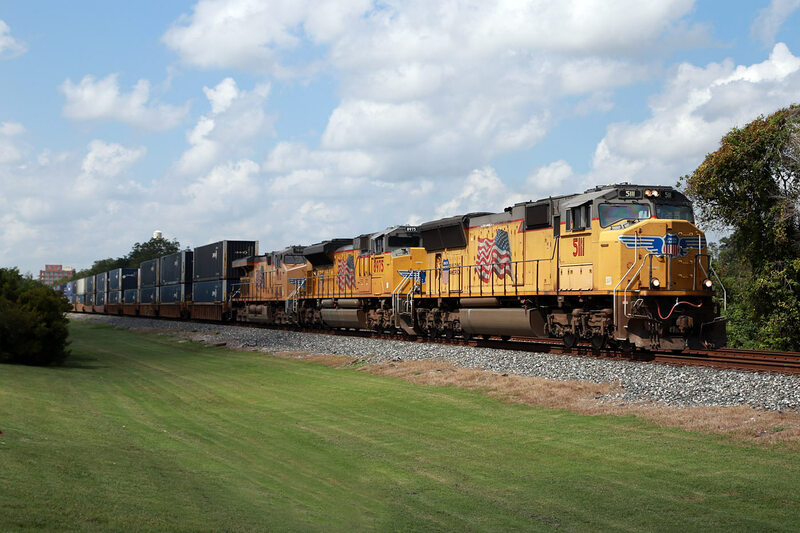 #2 came into view about 5 minutes behind the intermodal in better sun. The intermodal went into the hole at Harlem to let #2 pass him. As soon as #2 passed me, I headed east to redeem myself with UP 5111. 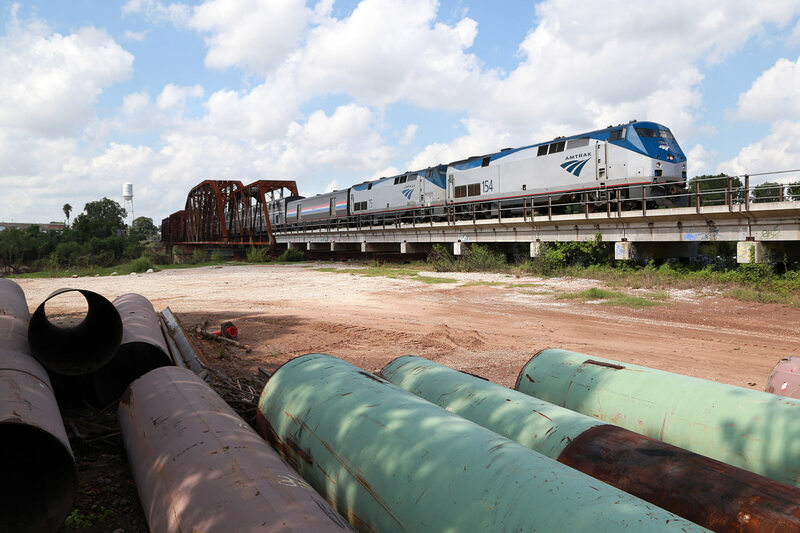 You’d think it would be easy enough on US 90 to get ahead of a freight train that’s getting underway, but you’d be wrong. I was able to get ahead of the intermodal only because [redacted in order to preserve my 5th Amendment rights]. I really needn’t have bothered because I was rewarded with this final shot in the smallest sucker hole ever just east of MP24.